Search for Azcanta Flip is interesting. 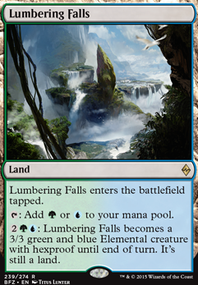 It's a bit slow at first, but mid-late game it can be a decent mana sink once it flips. Rhystic Study slows everyone down. However, if your meta is already slow and everyone pays their taxes then it may not be as valuable for you as it is for me. 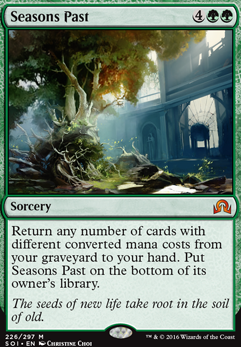 Nexus of Fate can combo with Seasons Past and a tutor if you have the mana for it. 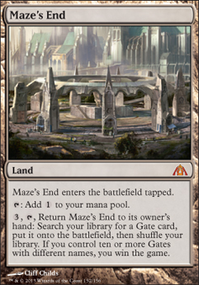 It can obviously also combo with ETI , but with Seasons Past and infinite mana we already have ways to win without it. If you can replace the number of cards needed to win post ETI, then we can include even more answers in our 99. Seasons Past getting back a Time Walk effect and Mystical Tutor . Mystical Tutor for Seasons Past. 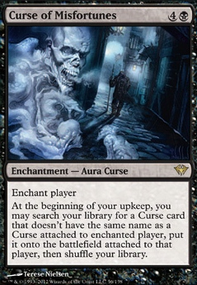 Capsize or Jace, the Mind Sculptor targeting Eternal Witness , which gets back a Time Walk effect. My list is rather tuned for my meta, so there may be some funky and janky stuff in there. Keep that in mind when you look over my list because there is a decent number of flex slots depending on what your deck wants in your meta. 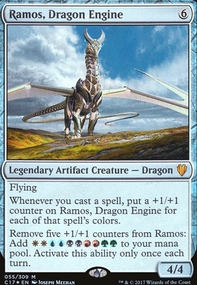 At its core though, my deck is a Sultai combo/control shell with some added goodstuff in the mix. 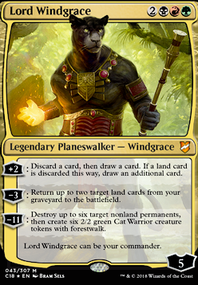 So aside from the core combos, I have Life from the Loam and Crucible of Worlds to return lands from my graveyard which helps with longevity, as well as a Seasons Past package to loop to-hand tutors as my mana sink and effectively draw my deck that way if for some reason I don't have access to Tasigur (theft shenanigans exist in my meta). I have a Crop Rotation package to hit Bojuka Bog or Strip Mine when needed at instant speed. 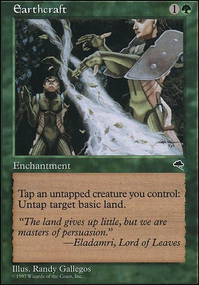 One time I durdled for several turn cycles because I had Exploration , Life from the Loam , Glacial Chasm , and another land which allowed me to sac the chasm on upkeep to never have to pay life, cast loam, return lands to hand, play a land, and play chasm, sacrificing the other land to it. I filled up my yard quite a bit over a bunch of turns and I never once took damage until another player got annoyed and found an answer to my shenanigans. You 100% want Seasons Past . Card is nuts in these types of strategies.